Hello everyone! I hope you are having a wonderful and peaceful holiday season. Merry Christmas Eve to you! I'm so glad you've stopped by today. 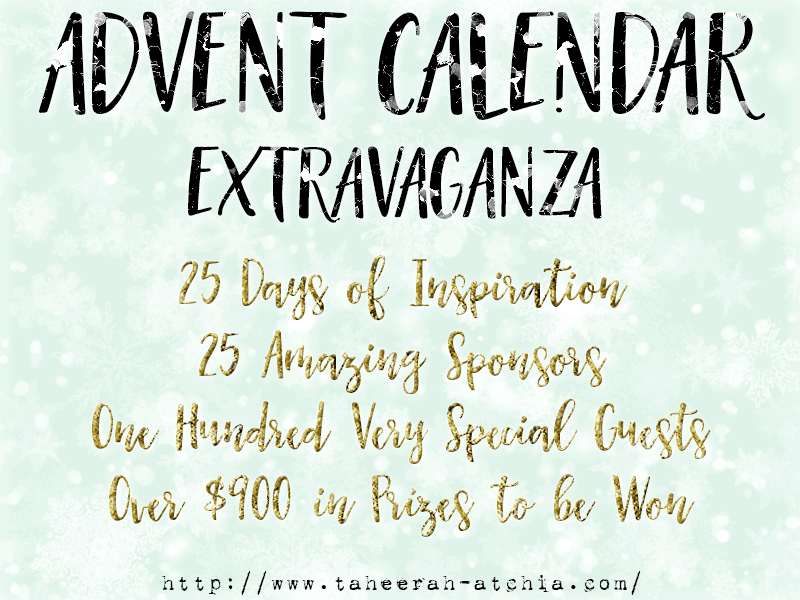 Today I'm sharing a project for the 2017 Advent Calendar Extravaganza by Taheerah Atchia. 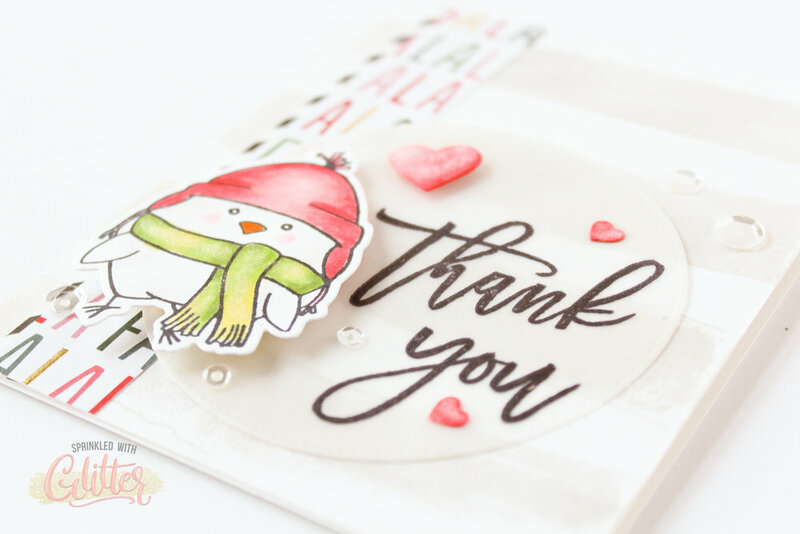 I thought a holiday thank you would be perfect for today's event! What a fun way to hop, right? Today's sponsor for the Advent Calendar Extravaganza is My Sweet Petunia, maker of the MISTI! I have prize information below. This is one you won't want to miss! Today's card features stamps from Right At Home. I love the beautiful sentiments and watercolor stripe background. 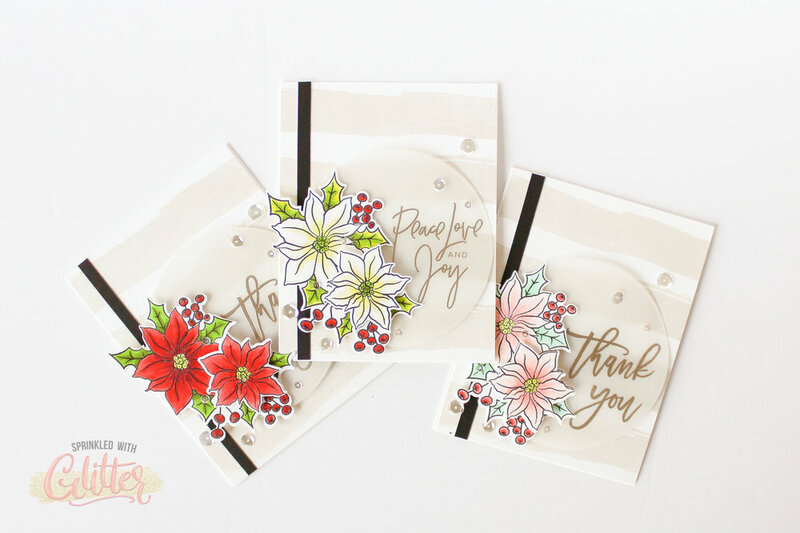 For a more elegant look, I've paired this background and sentiments with an Avery Elle Holiday Bouquet stamp set. I'll also pair some of the same elements with the Honey Bee Snow Birds stamp set for a more playful version. I've linked all the supplies used in today's projects at the bottom of this post. For a closer look at all of these cards, be sure to check out the gallery below. :) Lots of pretty pictures there. I'll show you exactly how I created these cards in the video tutorial, so be sure you check that out! To watch this video in HD on my YouTube channel, please click HERE. Don't forget to like and subscribe while you're there! It’s not a party without a prize - and with prizes every day there are several chances to win! Today’s prize is generously supplied by My Sweet Petunia, maker of the MISTI, so you’ll definitely want to win! Simply leave a comment on this post - then head back to taheerah-atchia.com and leave a comment there too! You must leave a comment on Taheerah’s blog as well as mine in order to be eligible to win! Don’t forget to grab the other surprise destinations from Taheerah’s blog and head over to them to leave comments there as well to improve your odds even more! You have until 23:59 EST on 31st December 2017 to enter. Thanks for stopping by today! I hope you've enjoyed these projects! Merry Christmas! And until next time, I hope you have a fabulous day!